There are various home entry products that we offer. 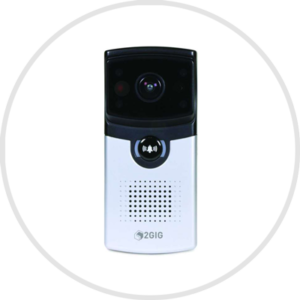 These products are built on advanced technology to ensure all your home entry points are secure. Our equipment is tamper proof, high performing and user friendly. 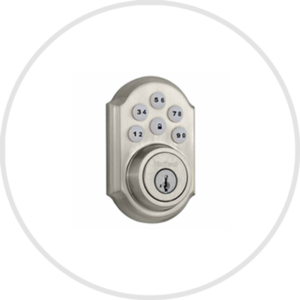 Our smart doorlocks promise foolproof security, doorbell cameras offer two-way voice communication and keychain remotes come in handy during emergencies. Smart door locks are tamper proof. They enable homeowners to lock their entry doors smartly. Any unnecessary attempt to open the lock initiates the alarm. A doorbell camera is a new device that allows homeowners to permit those they want to enter their homes and reject the unwanted visitors using their smartphone. Keychain remotes come in handy when there is an emergency. The four buttons perform four different functions for the users.